In 2016, the The Danish Building & Property Agency and Aarhus School of Architecture launched an open, international design competition for a new school of architecture at Godsbanearealerne in Aarhus, Denmark. This significant project will see the first purpose built architecture department in Denmark. As its starting point, our design uses the language of (post)industrial architecture- railway yards, sheds and factories. Many examples of this are located in and around the site. Our building expresses this aesthetic in its form. 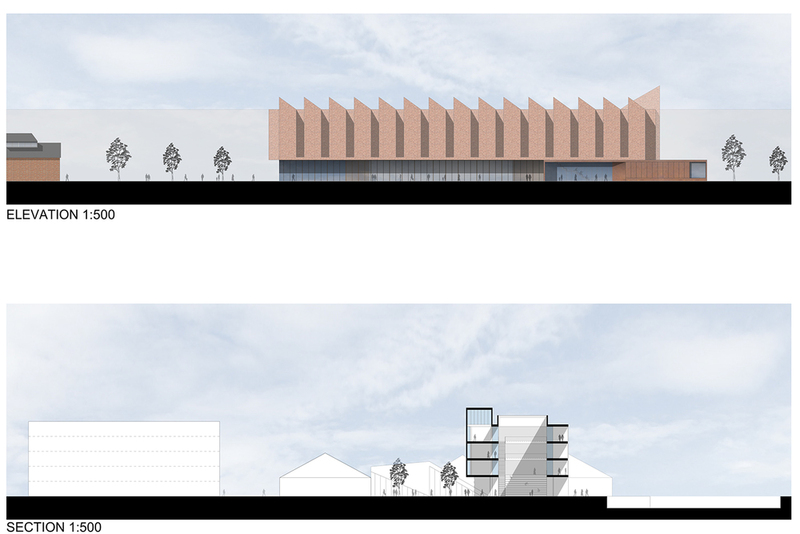 The North elevation of the building features 14 projecting studio bays topped with large triangular north-facing rooflights. The clients’ desire for a ‘raw structure in which we can develop, experiment, test, cooperate’ is reflected in the pallete of materials being proposed, which has also been informed by those existing buildings on the site. 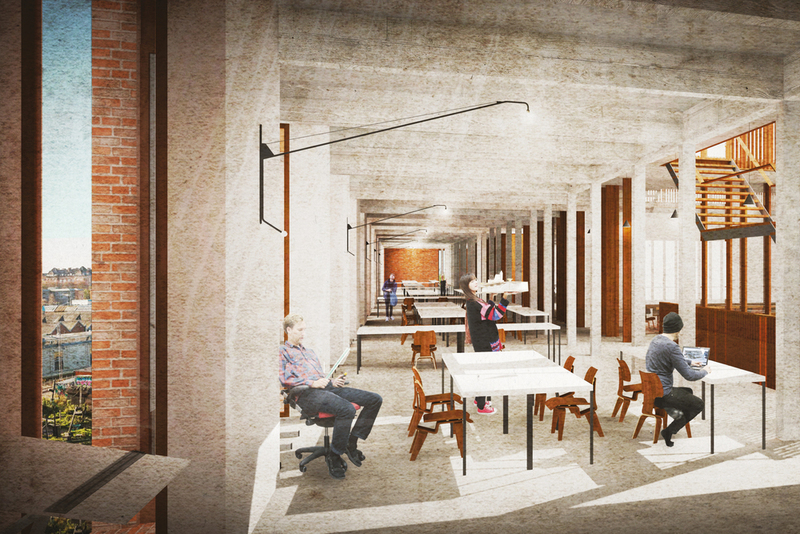 Our proposal is arranged around a central core which contains meeting rooms, teaching spaces, labs, and circulation. Columns next to the core define the passageways. Studio bays are located in the cantilevered section to the North, while staff offices are located on the South. Ground floor social spaces- civic kitchen, library, book store, and common space act as meeting places for students, staff, and public; each of these sits directly below a light well.